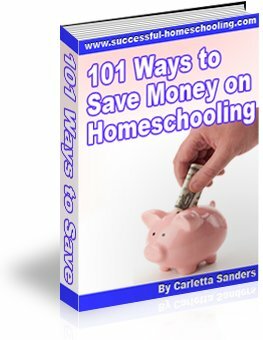 Buying and selling used homeschool curriculum is a great way to make homeschooling affordable. Here are some tips for finding used homeschooling curriculum. Here are some tips for buying used homeschooling books. The following are tips for selling used homeschool materials. When selling used homeschool curriculum online, choose the best category for listing your materials. Accurately and objectively describe the materials, making note of any bent, torn or missing pages, and pages that contain writing. Let the buyer know whether or not you own pets or smoke. Provide photos of the books, if allowed. Keep a list of items you have up for sale and the categories where they've been listed. Know whether or not you will be personally responsible for keeping your listings updated. Set a fair price for your items. You may be able to obtain 50-80% of the retail price for materials from popular providers that are in good condition. Expect a lower payment for older materials or those that are not in demand. Don't succumb to pressure to accept lowball offers. Set a reasonable price and lower it later if you have not made a sale. Understand the fees you are responsible for paying. Does the company you selling through require a general membership fee, fees for each item you list or a percentage of your sales? Also be mindful of your costs for receiving/processing payment, and packaging and shipping the product. Clarify the terms of sale. When will you be paid for the materials? Is shipping included in the price or will the buyer pay extra for shipping? Will the items be mailed by the United States Postal Service, UPS or Fedex? What type of delivery is expected? Will the items be insured? When will the items be shipped. What type of payment will you accept? Cashier's check? Money order? Credit card? By opening a PayPal account, you can receive secure online credit card payments. PayPal also allows you to print packing slips and pre-paid mailing labels. If you use PayPal, consider these fees when pricing your items for sale. If you are selling items through a service that allows buyers to leave feedback regarding your services, ask the buyer to leave feedback. Customers often look for positive feedback about the seller before making a purchase.